The Gemini birthstone list gives you the meanings of each of the stones that help the person born in the Gemini sign. 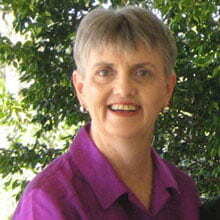 This allows you to evaluate their meanings to decide what you think is best for you. This list will tell you all of the birthstones that have been attributed to the astrological sign of Gemini. All of these stones are appropriate for anyone born in this star sign. It has been based on the individual vibration of each of the stones and healing crystals for you to utilize if this is your sign. Yet you may discover when you read the meanings that one or more of these may appeal to you more than others. Purely by wearing your chosen stone you may be able to assist some special area of importance to you. The best way to begin your choice is to go through the list of birthstones and read the details shown on each individual stone. Start by working out what stones you already own as you may have one of these in your current jewelry. This may help you make a decision about the particular Gemini Birthstone to choose. If you do this, you may learn more information about your favorite stones specific qualities, and why you would choose to wear it. Many of the stones on the list are highlighted with a link. As you are going through the list keep this in mind, as it will help you if you want to find out more information on a specific crystal. Use the link, as its presence there means there is more in-depth information about the stone on another page. So if a summary on a stone appeals to you, you can go to that stone's page and read about what other attributes it has that may help you. It is an advantage to have a number of birthstones to choose between for each sign. Many of the stones have the capability to aid a range of different problems, and their healing properties may be quite significant. Gemini birthstone jewelry made from the stones on the list is lovely to wear as many of these stones are very attractive. Using them may profit your overall health and well-being. It is likely that you will be able to buy these stones as birthstone jewelry. It is good for your health if they remain on your body during the day, to help you to benefit from their vibration. Most people are aware of their own astrological sign, but if you are thinking of buying a gift for someone, you may be unaware of their sign. The list that follows will guide you to work out which sign they are. This list of astrological signs, outlines the date in each month that they start and finish. The list below covers just the astrological birthstones for Gemini but if you also would like, you can also check the birthstones by month list. Carefully consider the information on the list that follows, as it provides analysis of each of the stones in the list, so that you can establish which one will be the perfect one for you to use. The material provided gives you a selection of different properties including the healing attributes. There are an excellent range of stones on this list and they are all recognized as being of benefit to those born within this star sign. Many of these stones have strong vibrations that may be helpful to those who are born in this sign, as well as those born in other zodiac signs. There is a full master list on the zodiac birthstones page, if you want to read the page where this is fully covered. Agate is the label given to a specific type of stone. There a number of different types of Agate, and all of these stones are a variety of chalcedony, minerals within the quartz group. 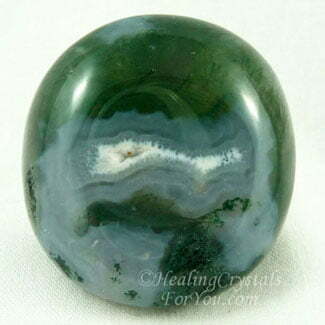 The lovely Green and Blue Moss Agate, pictured here, is a strong stone to aid you to connect with the vibration of Mother Gaia. It resonates with a lovely heart based energy. Fire Agates are highly protective stones that belong in this group. 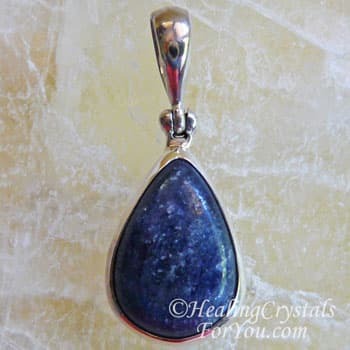 Alternatively you may prefer to use Blue Lace Agate which will aid your communication abilities. Choose whichever type you feel drawn to, as this is a large group that comprises many strong and helpful stones. Apophyllite may be clear or green in color. 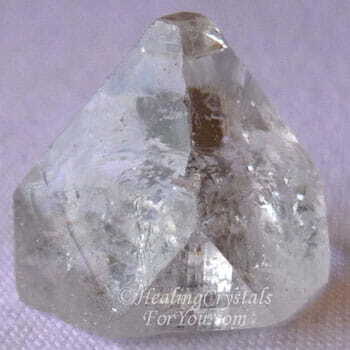 The clear stones are well known third eye crystals, and if you obtain one of the small clear pyramids they are potent placed on the third eye chakra while meditating. This Gemini birthstone may help you to see the future, and are high vibration crystals that can assist you to develop your intuition. 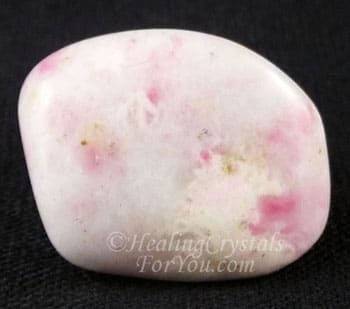 They are an excellent stone to stimulate your spiritual growth, and when used regularly in meditation may assist you to connect with your spirit guides and with the angelic kingdom. If you are stressed or anxious, their energy may calm you and help you to let go of stress. If you use them to grid your bedroom, they will purify and energize the room with spiritual light, and you will wake more refreshed. 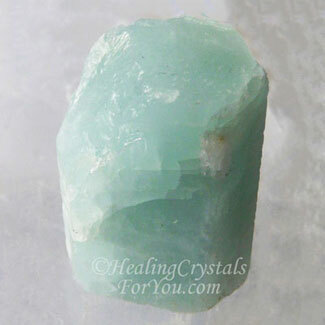 Aquamarine have a quite spiritual vibration. It is helpful to use when you are going through times of emotional problems, including when you are experiencing loss and grief. As its color is a mixture of blue and green it works within both the throat chakra and the heart chakra. This allows your communication to be more loving, and heart based. The energy of this Gemini birthstone aids your communication with the Goddess, and it may also help you to find your spirit guide develop your intuition. If you wear it on your body for a time each day, this may enable it to assist you. Arfvedsonite is a stone known to stimulate amazing manifestations, through its energy to clear the path of your life ahead. It has a lovely vibration that may help to fill your life with joy and positive feelings and help to lift depression. This Gemini birthstone is a strong stone to aid peaceful sleep, and may help to stop nightmares from occurring. It may assist you to discover what may happen in the near future, and can be utilized at the third eye during meditation to help you to develop clairvoyant ability. While wearing it is beneficial, limit the amount of time you use it for to begin with, as it can make you ungrounded until you have adapted to its energy. Blue Sapphire is a strong stone to open your communication abilities, and assist you to align yourself with the ideal of truth. It aids you to feel more organized, and will aid healing of the mind. 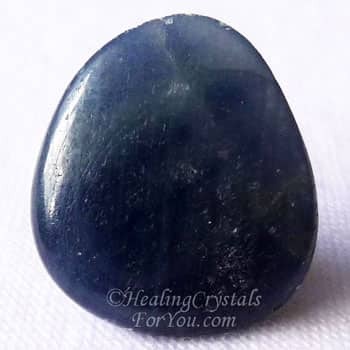 These blue crystals may help the development of ESP and psychic visions, commonly called clairvoyance, as well as assisting you to develop your psychic communication abilities. They are good healing stones and like many blue stones are known to aid healing in the area of the throat. These crystals have a good action within your brain to assist learning. 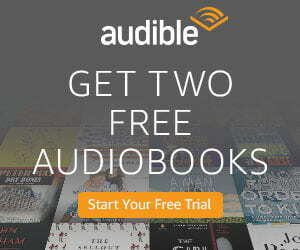 They help you to feel greater mental discipline and might also kindle lucid dreaming. Celestite is a lovely light blue stone with a sweet gentle uplifting energy that aids you to connect with angels and may also help you to make contact with your own guardian angel. This Aquarius birthstone will take your awareness to a higher spiritual level. 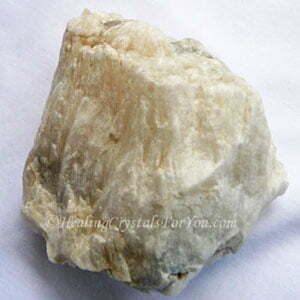 By placing a cluster of this stone in a room, their lovely energy will resonate out into your home. These crystals are a beautiful soft blue color and their energy is immediately apparent, both physically and spiritually, when you pick one up and experience this vibration. 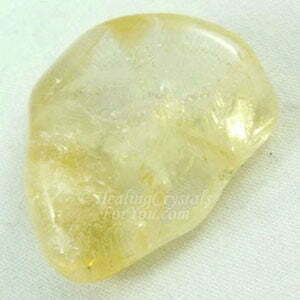 Citrine Crystals are some of the strongest stones for manifestation, as they help you to let go of fear. Keep a piece on your body for as long as possible each day to assist the process. This will allow the flow of positive energy into your life, and create an increase in your prosperity, and this includes your capacity to manifest money. This Gemini birthstone vibrates strongly within the solar-plexus which is the area that governs your willpower, so it may benefit you if you are working on losing weight. Chrysocolla is an attractive greenish blue color, and is an excellent stone to aid women, as it carries a strong vibration of empowerment. It is also a strong healing stone, with the energy impacting most strongly within the throat chakra, heart chakra and base chakra. It is known to help to heal the thymus gland and to aid healing of thyroid problems. It carries a strong vibration of love, and used at the throat chakra it inspires loving and inspired communication. 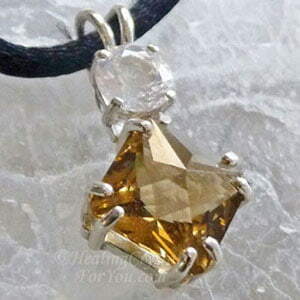 Wearing a Gemini birthstone pendant that is made from this stone is highly beneficial, particularly if it is worn close to or at the throat, as having it in this area will create a stronger impact. Emerald stones have a strong heart based energy, that resonates strongly with the vibration of love. 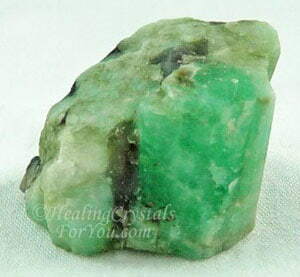 Like most green stones it reverberates within the heart chakra and the higher heart chakra. It energy within the heart and higher heart brings through the strong vibration of compassion, kindness, loyalty and unconditional love. Beautiful Gemini birthstone jewelry made from this stone may be worn close to the heart, to fill your life with this loving energy. Having this stone close to you is highly beneficial in so many ways, including bringing you an increase in your abundance and prosperity. Serpentine Stone is known to stimulate the kundalini energies. Kundalini awakening entails the movement of life-force energy, all the way from the base or root chakra up to the crown chakra. This stone has a powerful influence in this area. This is an extraordinarily intense experience and you may experience very strong reactions as the energy moves up your spine. The intensity of this experience often stimulates sexual feelings, as it opens new areas to create 'enlightenment'. This is a safe stone to aid the process as it prevents some of the discomfort that many people experience when this occurs. Tanzanite is an attractive purple stone that embodies within it a high vibration. It is powerful used in meditation, and may create heightened spiritual growth. 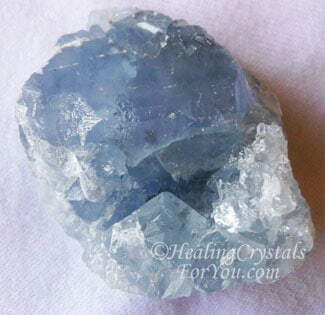 The energy of Tanzanite may stimulate the birth of psychic powers. These crystals embody the energy of the violet flame so they are also strong healing stones. They may be beneficial to wear as jewelry and they are easy to obtain. You can get lovely Gemini birthstone jewelry made from these stones. Thulite is a pink crystal with a vibration that stimulates eloquent speech. It inspires extroversion, and will help you if you need to become more comfortable and at ease when doing public speaking. This pink stone will help you to build rapport, so it may make it easier for you to create personal relationships with others. It helps to break destructive thought patterns and will enhance your problem solving skills. It aids emotional healing, and encourages happiness, contentment and a joy filled life. 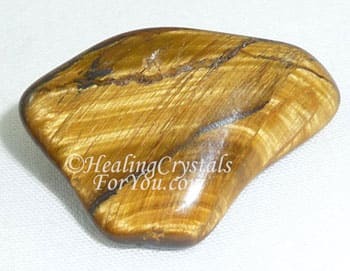 Tigers Eye is a stone that embodies the golden ray. It helps you to let go of fearful and anxious feelings and may boost harmonious and balanced emotions. Use it in meditation as its vibration may assist you to reach the realm of Christ consciousness, where you may experience deep compassion and unconditional love. These beautiful golden stones carry the energy of the masculine or solar vibration, and are stones that may stimulate the awakening of the kundalini. If you wish this to happen you may benefit by using it with Serpentine stone. 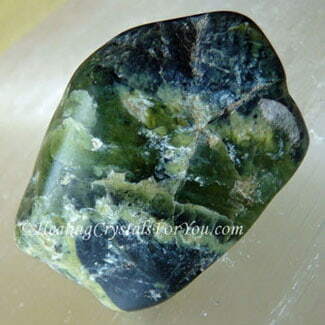 Ulexite is a third eye chakra stone that will connect the mind and the emotions, to create healing. Its vibration aids you to connect with angels, and it may help you to find your spirit guide. 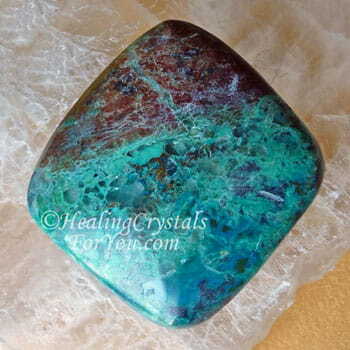 If you work in a creative area, this stone enhances your creativity, and will also aid you to unlock your imagination. 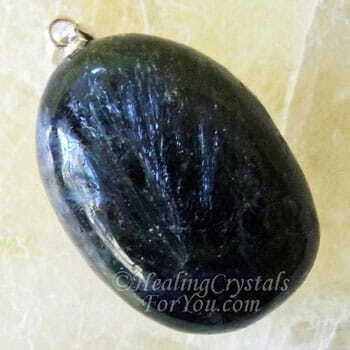 This stone is excellent to aid you to develop quite a few psychic abilities. This includes the gift of thought transference, commonly known as mental telepathy, psychic visions or clairvoyant ability as well as developing intuition. 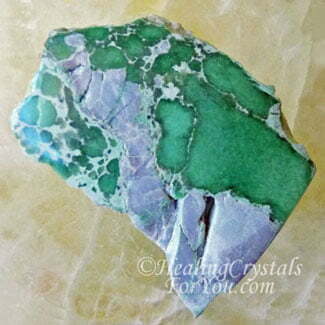 Variscite stimulates feelings of deep inner peace, love and compassion and helps you to let go of old negative energy that you no longer require. This allows you to move on with your life with ease. It helps you find solutions to problems and to feel a great level of trust in Spirit. It has an energy that vibrates within both the heart chakra and higher heart chakra or thymus chakra. 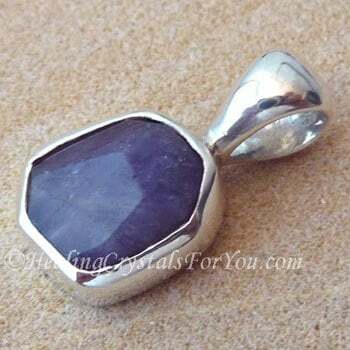 You may choose to wear this stone, and you may find lovely Gemini birthstone pendants made from this stone. "Using the power of decision gives you the capacity to get past any excuse, to change any and every part of your life, in an instant." Anthony Robbins. Maybe you are reading this as you want to give a friend a gift of zodiac birthstone jewelry. It is good to know that you are helping them heal their life, by providing a healing tool that is also pleasant to wear! The astrological sign of Gemini has some lovely stones, like the lovely Blue Sapphire, that has excellent healing aspects. Take a look at the Gemini Birthstone list, and learn the metaphysical qualities of the crystals assigned to your birth sign. When it is time to choose your Gemini birthstone, allow the spontaneity that those born in Gemini are known for, to guide you. If it simply feels right, allow that to help you to make your choice. Gemini people are highly intelligent, and you have the ability to use that to your advantage. Read through the attributes for each stone, and when you are drawn to one, if it has link to a full page, read the in-depth information about it. Your sign are known to have difficulties with stress, so just relax and don't make choosing into an issue. Simply allow your intuition to guide you to the best Gemini Birthstone for you to use. You may find when you check the meanings that one or more of these may appeal to you more than others. Gemini's are known for making quick and smart decisions without too much fuss, so if it feels right you know that it is right for you!